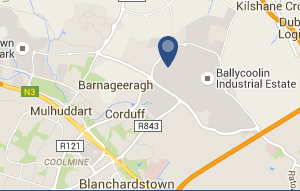 Tradekit Direct, Formerly MG Electrical, have been in business 8 years and operate from Killarney, Co Kerry, Ireland. They are an independent store within a large buying group. The MD is Gerry O Sullivan, an electrician by trade. They supply a huge range of electrical supplies and equipment to trade, maintenance stores and to householders. TradeKit are also launching into the UK market with its first site locating in London. Gerry was looking for a simple solution that would enable his accounts staff to manage the new site so that he could have full control and minimum cost. In the electrical business, a lot of paperwork is generated, sales delivery dockets, supplier delivery dockets, supplier invoices, works orders, pick lists, credit agreements etc. TRAX document management software from enterprise imaging Systems was deployed to manage all this information and it is now integrated into their core accounts software IQ.